Therefore, all chametz that will not be eaten or burned before Pesach and all chametz utensils that will not be thoroughly cleaned by then should be stored away. The storage area should be locked or taped shut to be leased to the non-Jew at the time of the chametz sale. The following form can be copied, filled out, printed and submitted to Chabad of Bucktown by Thursday, April 18, 2019. If you are unable to submit your form to the Rabbi in person, you may submit your form online. I fully empower and permit Rabbi Yosef Moscowitz to act in my place and stead and on my behalf to sell all chametz possessed by me, knowingly or unknowingly as defined by the Torah and Rabbinic Law (e.g. chametz, possible chametz, and all kind of chametz mixtures). This power is in conformity with all Torah, Rabbinic and Civil laws.  Please consider supporting the work of Chabad of Bucktown - Wicker Park.